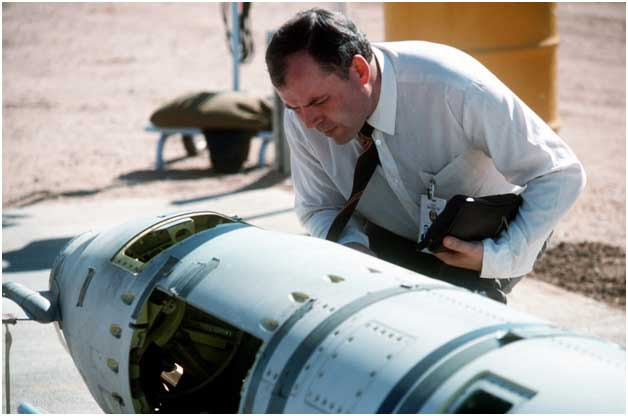 The INF Treaty and the enterprise of nuclear arms control are at risk, as Andrew Lichterman of IALANA affiliate Western States Legal Foundation and LCNP's John Burroughs explain in the below IPS opinion piece. LCNP and WSLF helped develop a RootsAction-led online campaign enabling constituents to contact their representative and senators to urge action to save the treaty - please participate! As this piece explains, Congress has the authority and power to do so. NEW YORK, Jan 2 2019 (IPS) A hard-earned lesson of the Cold War is that arms control reduces the risk of nuclear war by limiting dangerous deployments and, even more important, by creating channels of communication and understanding. But President Donald Trump and his National Security Advisor John Bolton appear to have forgotten, or never learned, that lesson. In late October, Trump announced an intent to withdraw from the Intermediate-Range Nuclear Forces (INF) Treaty. Secretary of State Mike Pompeo subsequently states that the US will suspend implementation of the treaty in early February. While US signals have been mixed, initiation of withdrawal at that point or soon thereafter appears likely. Agreed to in 1987 by the United States and the Soviet Union, the INF Treaty prohibits the two countries from deploying both nuclear and conventional missiles with ranges between 310 and 3420 miles. The main reason cited for withdrawal is that Russia has tested and deployed ground-landed cruise missiles the treaty prohibits. Russia denies that the missiles violate the treaty and has made its own accusations, foremost that US ballistic missile defense launchers installed in Eastern Europe could . be used to house treaty-prohibited cruise missiles. On September 26, the International Day for the Total Elimination of Nuclear Weapons, world leaders will participate in a High Level Meeting on Nuclear Disarmament. 'The United Nations and its member countries should focus more on disarmament for sustainable development' says 2016 Children's Peace Prize winner Kehkashan Basu, who was last week selected by the President of the UN General Assembly to address the UN High-Level Meeting as one of the two speakers from global civil society. 'The nuclear arms race, in particular, should be halted and the $100 billion global nuclear weapons budget be redirected towards ending poverty, reversing climate change, protecting the oceans, building a sustainable economy and providing basic education and health care for all humanity,' says Ms Basu, who was also named last week as one of Canada's Top 25 Women of Influence for 2018. The High Level Meeting on the International Day for the Total Elimination of Nuclear Weapons (Nuclear Abolition Day) will involve Presidents, Prime Ministers, Foreign Ministers and UN ambassadors presenting either their hopes and aspirations for nuclear disarmament or their excuses for keeping the nuclear arms race going. It falls on the anniversary of the incident in 1983 when a nuclear war was almost fought by accident. When an incoming US ballistic missile attack was detected at the Serpukhov-15 nuclear warning centre, duty officer Stanislav Petrov, defied protocol and reported a false alarm. He was right. The satellites were wrong. And his action, which is chronicled in the award winning movie The Man Who Saved the World, prevented a potential nuclear calamity the life of which we have never experienced and hope never to see. One trillion dollars is being allocated over the next ten years to modernize the nuclear arsenals of nine countries. The corporations making these weapons lobby for increased spending on nuclear weapons, stimulating the nuclear arms race and increasing the risk of a nuclear war. Count the Nuclear Weapons Money will demonstrate the scale of this investment, and how it could instead be devoted to peace and humanitarian needs. While governments meet at the United Nations in New York for the first ever United Nations High-Level Conference on Nuclear Disarmament, we will be outside the UN counting one million specially designed notes each of $1 million value, adding up to $1 trillion. Front of a $1 million note depicting what the nuclear weapons budget currently supports. Join us between May 10-16 as we count ($100 million per minute, $6 billion per hour, $146 billion per day for seven days). While counting we will highlight economic, social and environmental areas in which this money could instead be invested. Already we have parliamentarians, civil society leaders, artists, sports stars, musicians, activists, religious leaders, youth, war veterans and others signed up to count the money for 20-30 minutes each. Click here to sign-up as a money counter. Back of a $1 million note indicating what the money should instead be spent on. Design by Michael Green. It costs money to move the nuclear weapons money. Please donate so that we can print the 1 million notes, publicise the action, create a powerful installation of the counted money, and support the advocacy to end investments in nuclear weapons. For more information see our GoFundMe campaign. The New York action is part of Move the Nuclear Weapons Money, a global campaign to cut nuclear weapons budgets, divest from nuclear weapons corporations and move the money to meet areas of human need, such as ending poverty, protecting the climate, supporting renewable energy, creating jobs, and providing adequate healthcare, housing and education for all. The campaign was launched in October 2016 by the International Peace Bureau, World Future Council and Parliamentarians for Nuclear Non-proliferation and Disarmament, building on work these organizations have done for over a decade on nuclear divestment and cutting nuclear weapons budgets. The campaign now includes a number of other organisations and networks including the Basel Peace Office, Global Security Institute, UNFOLD ZERO, World Federalist Movement and the Abolition 2000 Working Group on Economic Dimensions of Nuclearism. The campaign works closely with the Global Campaign on Military Spending. Move the Nuclear Weapons Money held a press conference at the United Nations on March 28, 2018 to launch our new online platform and announce Count the Nuclear Weapons Money. At the press conference we also promoted the UN High-Level Conference on Nuclear Disarmament and released an open letter to the leaders of USA, South Korea and North Korea signed by more than 100 US civil society groups expressing support for the upcoming inter-Korean summit in April and the US-DPRK summit in May. See Amid growing nuclear dangers, experts highlight importance of the UN High-Level Conference on Nuclear Disarmament. Abolition 2000 member organizations organized a press conference at the United Nations in New York today to highlight the critical need for successful diplomacy on nuclear-weapons related conflicts, promote the upcoming UN High-Level Conference on Nuclear Disarmament, and announce two related initiatives. 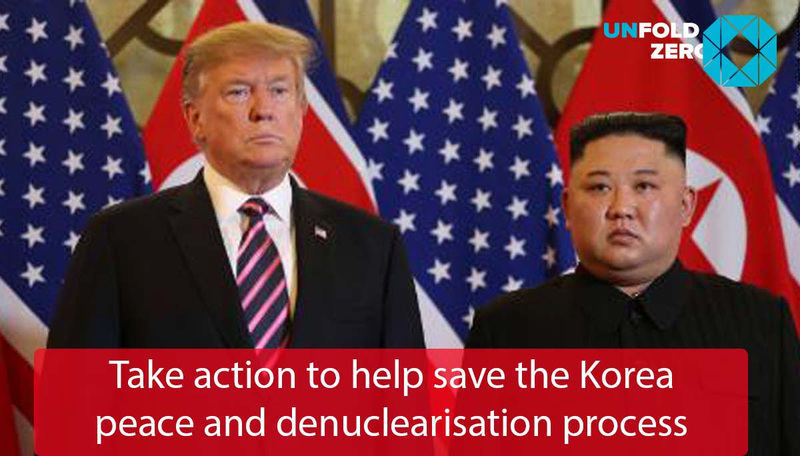 These were an Open Letter to the Leaders of USA, South Korea and North Korea and Count the Nuclear Weapons Money, a civil society action to take place during the UN High Level Conference. "The United Nations has key roles to play in promoting and supporting diplomacy, nuclear risk-reduction and disarmament,' said Jonathan Granoff, President of the Global Security Institute. "The upcoming UN High-Level Conference on Nuclear Disarmament comes at a vital time to build global support from UN Member States. We encourage all UN members to participate at the highest level, and to give full support to nuclear risk-reduction and disarmament measures." For more information on how to be engaged in the UN High Level Conference, see Abolition 2000 working group on the 2018 UN High Level Conference on Nuclear Disarmament. The UN High Level Conference on Nuclear Disarmament is scheduled to take place in New York May 14 -16. Nuclear disarmament campaigners plan to use the occasion to focus public attention on the nuclear-weapons industry, a key stimulus to the nuclear arms race. For more information see Move the Nuclear Weapons Money and the Abolition 2000 Working Group on Economic Dimensions of Nuclearism.